Public Enterprise Minister Pravin Gordhan has told Parliament that most of the companies in his portfolio will be rocked by the latest fuel price hikes, with exposure to these hikes racking up millions in extra costs. Regarding Eskom, he said the power utility would be "squeezed" to cut costs. 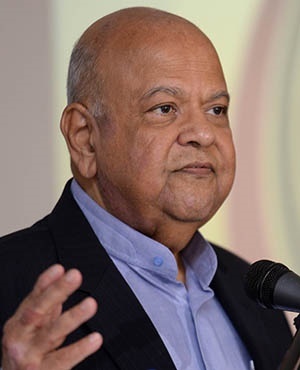 "Implications of fuel price increases to the turnaround plan are that targeted areas of cost reduction would be squeezed to provide further savings, since the fuel cost increases would erode these savings," said Gordhan. READ: Record fuel price hikes: Are you driving less in SA? He said in financial year 2017/18, Eskom had spent a total of R3bn on fuel-related products, including R319.9m on open cycle gas turbine fuel, R2.1bn on heavy fuel, and R567.9m on motor fleet fuel. "Eskom’s exposure to the fuel price increases in financial year 2017/18 is estimated at R97.2m. "In the 2018 financial year, the three fuel categories listed above made up 2.31% of Eskom’s total operating costs. If it were not for the fuel increase, the fuel cost proportion would have been 2.24%," Gordhan said. "If the actual average for April and May 2018 is multiplied by the fuel burn, the cost increases by R97m, which will erode profit margins; and turnaround strategies will be adversely affected," said Gordhan. "The increase in the fuel price will put a significant strain on the company and negatively affect its financial sustainability," said Gordhan. According to the minister, the 2017/18 financial year saw Denel spending R6.5m on fuel, despite relatively low business activity. "The financial impact was significant, given the cumulative percentage increase in the fuel price during the period. "The increase in the price of fuel - diesel 500ppm and unleaded petrol - was 20.5% and 25.8% respectively," he said. Calculations for Denel were done using baseline prices of R11.53 per litre for diesel and R13.30 per litre for petrol (the cost as at April 1, 2017) and final prices of R14.50 for diesel and R16.20 for petrol (the cost as at June 30, 2018). "The higher the increase in fuel price, the more difficult it is to operate a profitable business. "It is evident that a further increase in fuel price results in diminishing profit margins and reduction in cash reserves. Taking into account the increases that have been effected, the company is forecasting an increase in direct costs of about R8.8m," Gordhan said. These increases have a knock-on effect on the salary bill, and other employee’s related costs, he added. "Failure to realise planned margins, due to higher costs in operations, will result in the company’s growth strategy not being achievable." He said the recent fuel price increase had not yet impacted on Transnet’s operational performance.